Fresno, CA (December 18, 2015) – International airlines Aeromexico and Volaris are bringing families and friends together this holiday season by increasing flight frequencies from Fresno Yosemite International Airport to Guadalajara, Mexico. Both airlines expect strong passenger bookings during the busy holiday travel period. As a result, the airlines have increased flight frequencies to accommodate travelers during the month of December and into January. In addition to its regularly scheduled daily service from Fresno to Guadalajara, Volaris has added a second flight to its Saturday operation and Aeromexico has increased its regular four day a week schedule to daily service through January 20, 2016. The additional flight frequencies offered by both airlines provide a combined seat capacity accommodating over 360 passengers from Fresno to Guadalajara on a daily basis expect for Saturday when capacity reaches over 540 passengers. The seasonal flight adjustments in December are expected to contribute to record performance for international passenger traffic in 2015. International carriers Aeromexico and Volaris have experienced strong passenger growth this year contributing to a 14 percent increase in passenger traffic from January through November compared to the same period in 2014. Since January 2015, over 150,000 passengers have traveled between Fresno and Guadalajara, Mexico and beyond. Flight information and reservations for Aeromexico can be accessed at www.aeromexico.com or by calling 800-237-6639. Volaris flight information and reservations can be accessed at www.volaris.com or by calling 866-988-3527. Fresno Yosemite International Airport currently offers Valley passengers daily nonstop flights to Dallas, Denver, Las Vegas, Los Angeles, Phoenix, Portland, Salt Lake City, San Diego, San Francisco, Seattle, and Guadalajara, Mexico on domestic and international carriers. Fresno Yosemite International Airport is a municipally owned entity operating as a self-supporting enterprise. 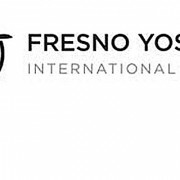 No City of Fresno general funds are used to operate Fresno Yosemite International Airport or Fresno Chandler Executive Airport.